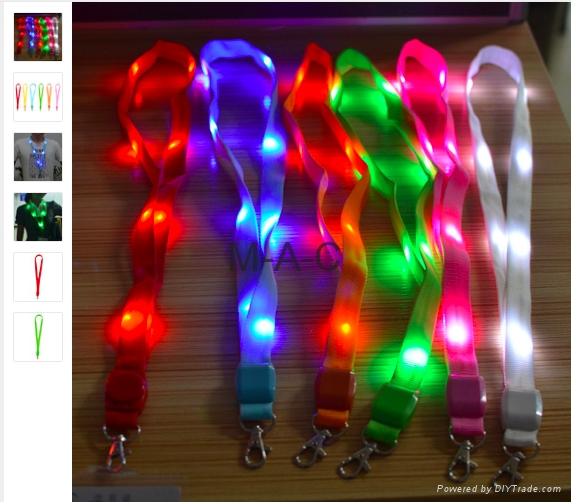 This incredible LED lanyard is perfect for clipping your keys or ID card to the secure string. It also makes finding your keys or whatever you clip to it a breeze to find in the dark. The LED Lanyard string is the essential rave toy that frees up your pockets and keeps you looking cool. You can also use the LED strobing lanyard as a fun club toy! Try using it as a light stick string! Function: security warning light, signal light in dark. Ideal for outdoor sport (running, hiking, cycling, hip hop), party, gift, etc. 1 x LED Lanyard(1 battery included).